We’ve seen screenshots from the beta but we weren’t aware of the full extent of the new feature list added to aTV Flash (black) 2.0 until now. aTV Flash is a paid overhaul for the Apple TV which adds new features such as a web browser, LastFM stations, media streaming, metadata/cover art automation, and support for new file formats. The 2.0 update adds a laundry list of features into the mix. ATV Flash now sorts movies , music, and TV shows by metadata. The biggest change to aTV Flash (black) 2.0 is the interface. 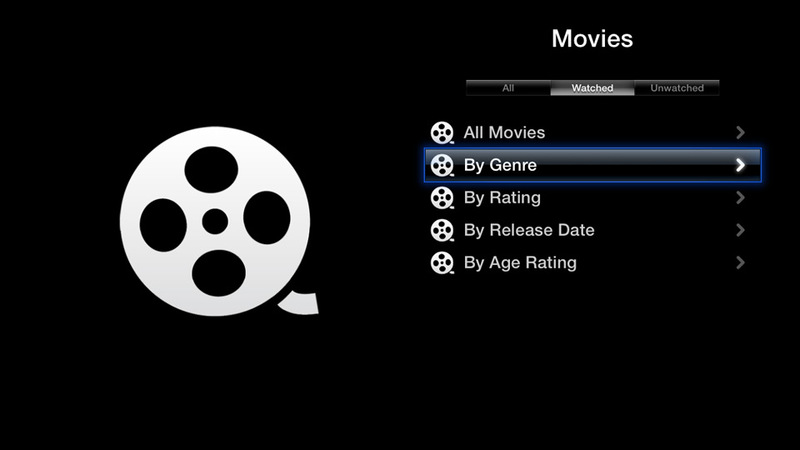 It keeps with the Apple TV’s stock interface, but adds a view for filtering streamed movies, TV shows, or music by genre, rating, release date, or by the season of a TV show. There’s also a new search function for finding stored movies, or specific songs and TV episodes, from the Apple TV. 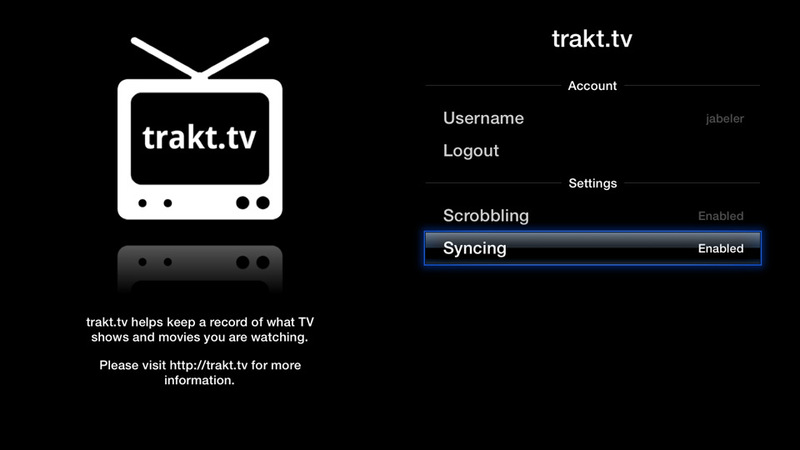 If you have more than one Apple TV in your household, you can sync videos progress between your devices with Trakt.tv. Also added to aTV Flash is Last.fm scrobbling. Previous versions of aTV Flash could stream Fast.fm stations but didn’t include support for scrobbling other music played on the Apple TV. Scrobbling uses music that you’ve played often or liked to build a database that predicts songs you’ll enjoy in the future. While I’ve found the music streaming service to be underwhelming, Last.fm’s music tracking software is nifty as you can see your tastes change over time. There are other minor tweaks such as improved handling of DVD audio tracks, better support for subtitles, and issues with navigation. aTV flash now has features powered by trakt.tv syncing and last.fm scrobbling. Interestingly enough, the update also mentions the 3rd gen Apple TV. As there is no functional jailbreak for the device, it does not support aTV Flash (black) 2.0. Because the Apple TV has relatively few processes running, it’s hard to find software vulnerabilities compared to the iPhone. The reason the 2nd generation device was jailbroken was because it happened to be vulnerable to the same LimeRa1n hardware exploit as the iPhone 4.
aTV Flash (black) is available on FireCore’s website for $29.95. If you already purchased aTV flash, you can upgrade from the Apple TV using Maintenance -> Manage Extras. Does aTV Flash make the 2nd generation Apple TV more valuable than the 3rd generation device? share your thoughts in the comments section below.